Description: Cops, secretaries, and prisoners stuck in a soon-to-be-shuttered L.A. police station fight off a horde of murderous gang members in director John Carpenter's homage to Howard Hawks. 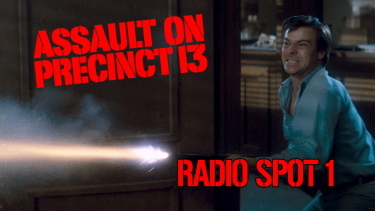 When police officer Bishop (Austin Stoker) is left in charge of Precinct 13 on the last day it's open, he isn't prepared for the onslaught of a murderous street gang who have come into the possession of an enormous arsenal of guns. 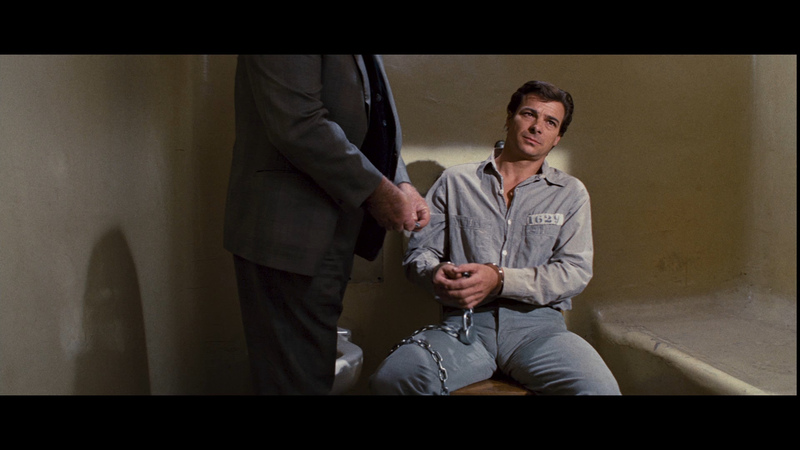 Finding himself trapped in the precinct with a pair of secretaries (Laurie Zimmer and Nancy Loomis), a few civilians and a handful of prisoners, Bishop is unable to call for help because the phones have already been disconnected and the precinct is in a run-down, out-of-the-way neighborhood. Holding out for a rescue, he and his fellow prisoners band together to barricade themselves in and hold the bandits at bay. But as the casualties mount and the supplies run low, they must choose between a daring escape attempt, a fiery offensive, or certain death. 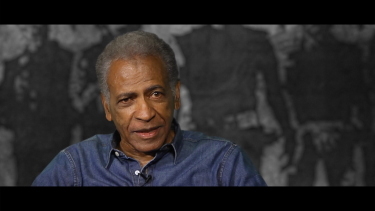 The sophomore feature from auteur-in-the-making John Carpenter, Assault on Precinct 13 reunited the director with Douglas H. Knapp, his cinematographer on 1974's Dark Star. Just as Dark Star undercut the solemnity of space movies like 2001 with hilarious astronaut situation comedy, Carpenter's second feature borrows the conventions of protagonists in jeopardy from Night of the Living Dead to produce one of the most effective exploitation movies of the decade. 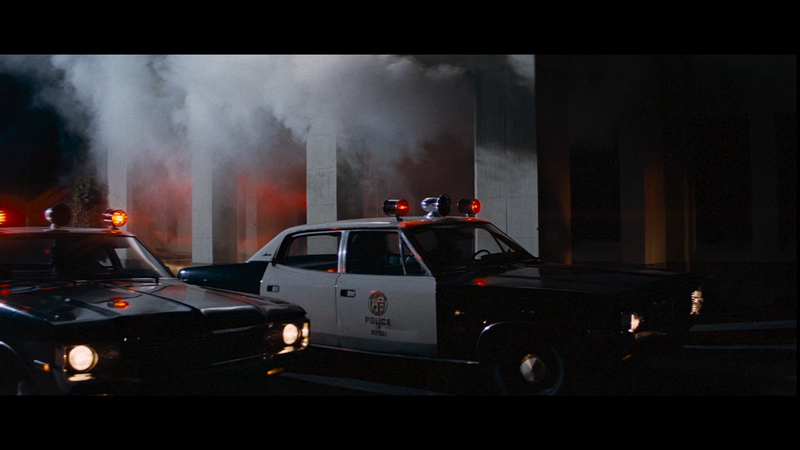 The gimmick is cops and cons besieged in an abandoned LA police station by a group of kamikaze urban guerillas. Carpenter scrupulously avoids any overt socio-political pretensions, playing it instead for laughs and suspense in perfectly balanced proportions. 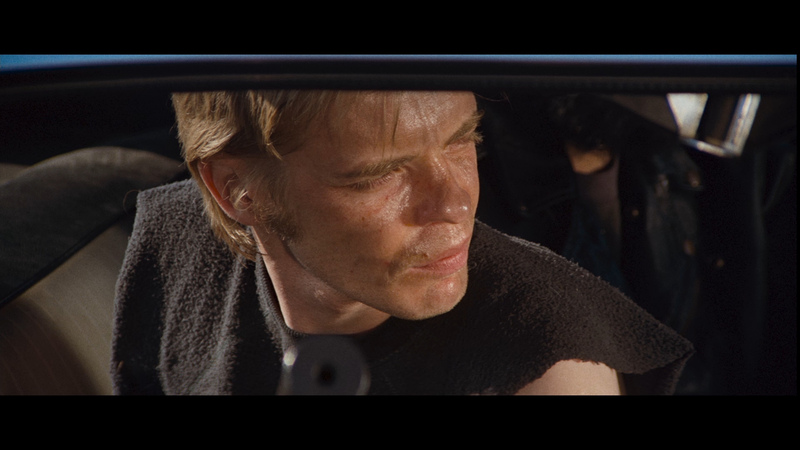 The result is a thriller inspired by a buff's admiration for Ford and Hawks (particularly Rio Bravo), with action sequences comparable to anything in Siegel or Fuller. It's sheer delight from beginning to end. 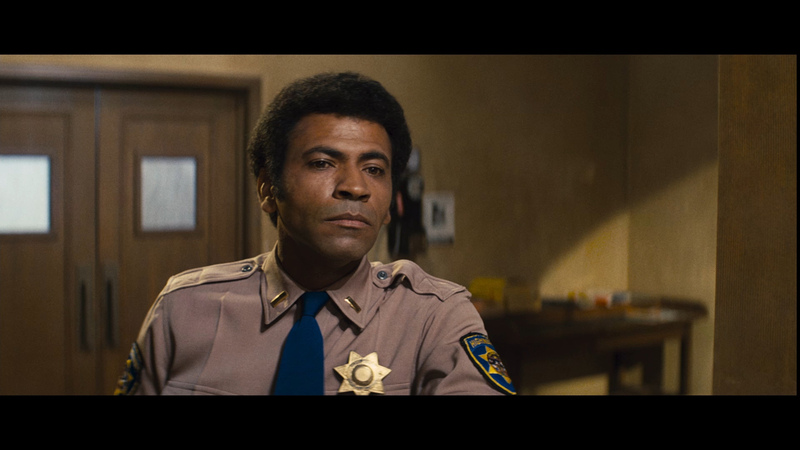 The titular assault in Assault on Precinct 13 doesn’t start until just over halfway through (and not at Precinct 13, but whatever). 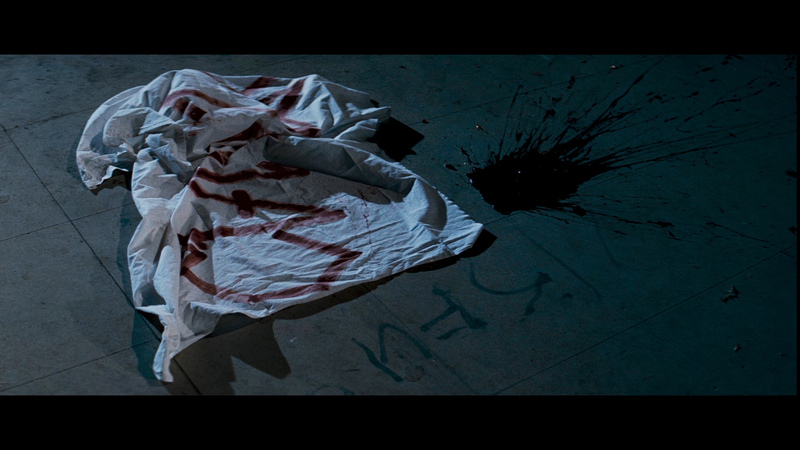 Until that point, Carpenter methodically lays out the elements to synthesize at the sieged police station. 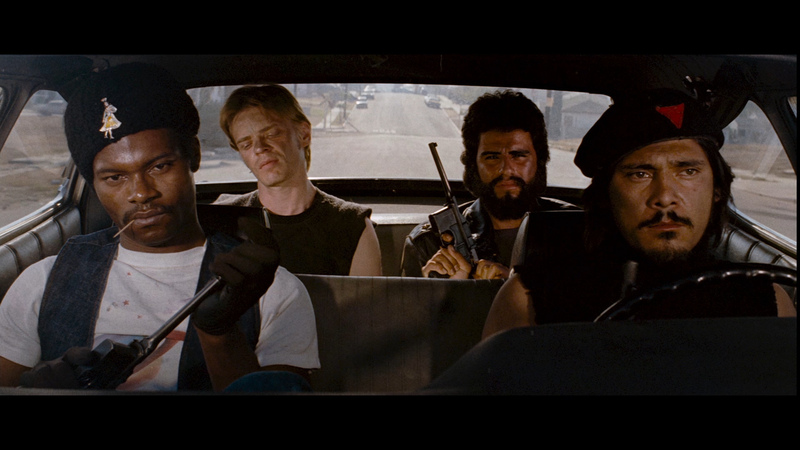 He introduces a tense gang situation, a new lieutenant (Austin Stoker), a convict being transferred to death row (Darwin Joston) and a man (Martin West) possibly unwisely traveling through the ghetto with his daughter (Kim Richards). 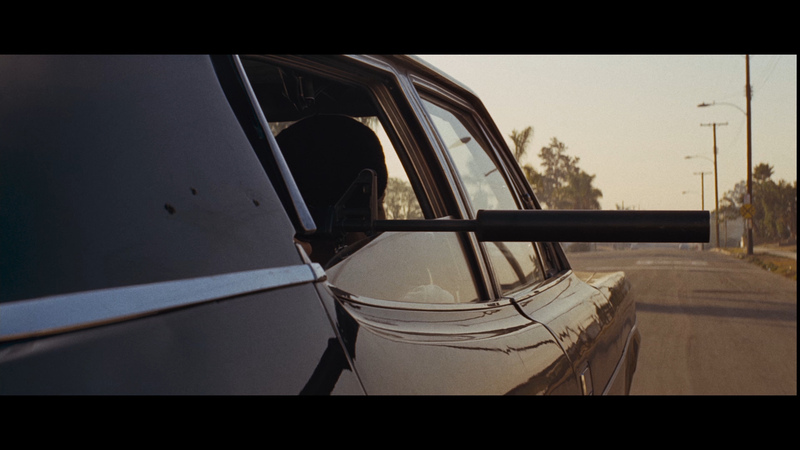 The way Carpenter portrays the L.A. ghetto is interesting. It’s empty, quiet and sometimes rather beautiful. He also treats the gang members like zombies–they don’t talk, they have no personalities. They’re just young and multiracial. Assault is a warning against young urban men of all creeds and colors. 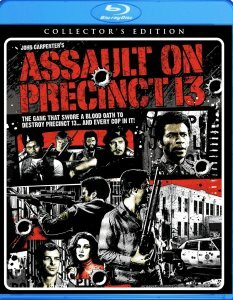 Carpenter's Assault on Precinct 13 has quite a loyal following and is a welcome release on Blu-ray from Shout! Factory. The image is rumored to have come from the last restoration and the quality supports that. 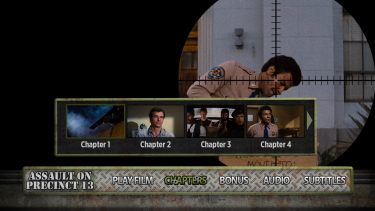 It is transferred at 1080P resolution. This is dual-layered with a high bitrate. Colors are reasonably tight and bright (golden hue) and there are some nice grain textures supported. 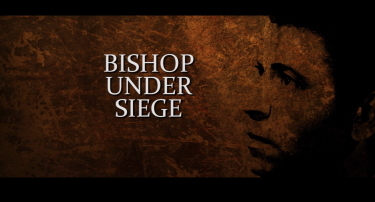 Contrast is a shade inconsistent but lets remember this was a relatively low-budget film. 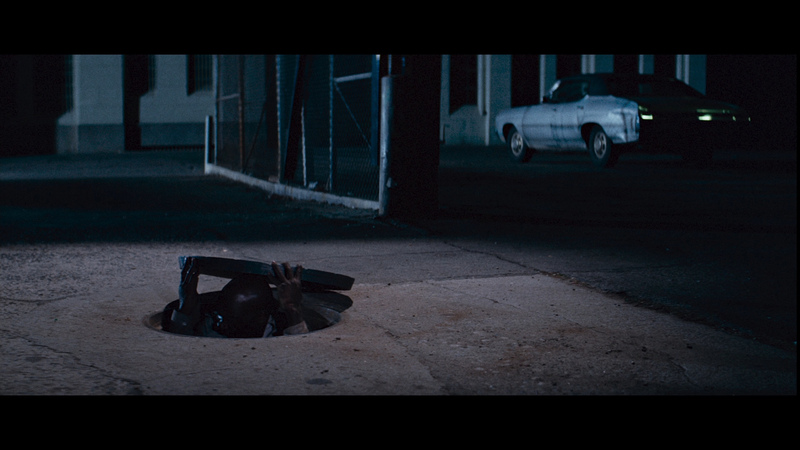 Daylight scenes are more impressive but there are plenty of darker ones without intrusive noise. 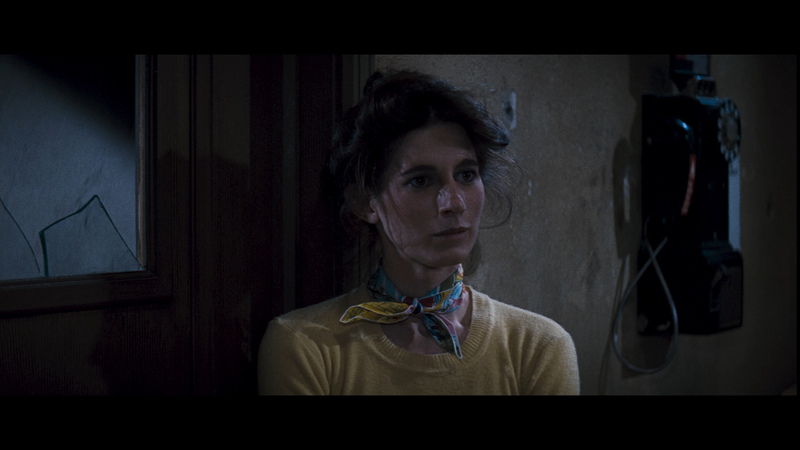 I don't see signs of manipulation and this Blu-ray has some pleasing depth. I'd say this is positive - quite clean, no damage or speckles. I was suitably impressed. 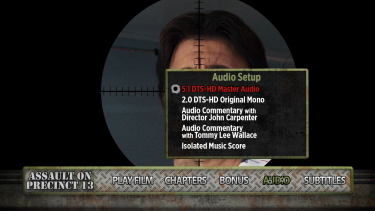 Audio comes in two flavors (three if you count the optional isolated score) - both DTS-HD Masters - a 5.1 surround at a healthy 3575 kbps and the original mono (via 2.0 channel). 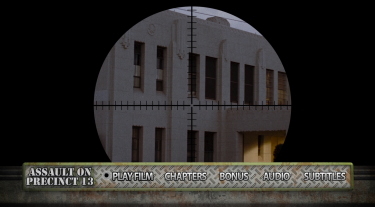 The surround does a decent job with some depth in the multiple gunfire exchanges. It is quite rich with the effects and its nice to se the original included. 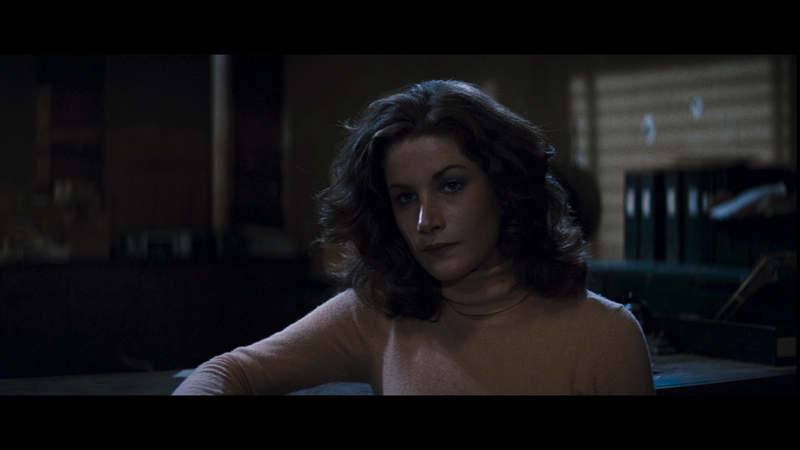 John Carpenter does the score (and direction, writing and editing) and it seems to benefit from the lossless with some potent pauses before explosive action. 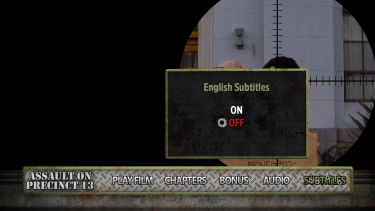 There are optional English subtitles and my Oppo has identified it as being a region 'A'-locked. Shout! Factory really go to town with their supplements with some new for this release. We get stuff from the past DVDs - the old commentary from John Carpenter and a new second by sound effects editor Tommy Lee Wallace. 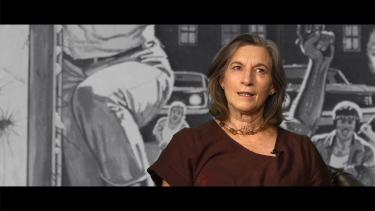 There is a 20-minute, Q+A interview from January 2002 with John Carpenter and Austin Stoker and two new pieces from Red Shirt Productions - 8-minutes with Austin Stoker entitled Bishop Under Siege as he details his memories of the production and Carpenter and a similar dozen minutes with Nancy Loomis - reflecting on her character - entitled The Sassy One. There are vintage radio spots, a trailer and a stills gallery. 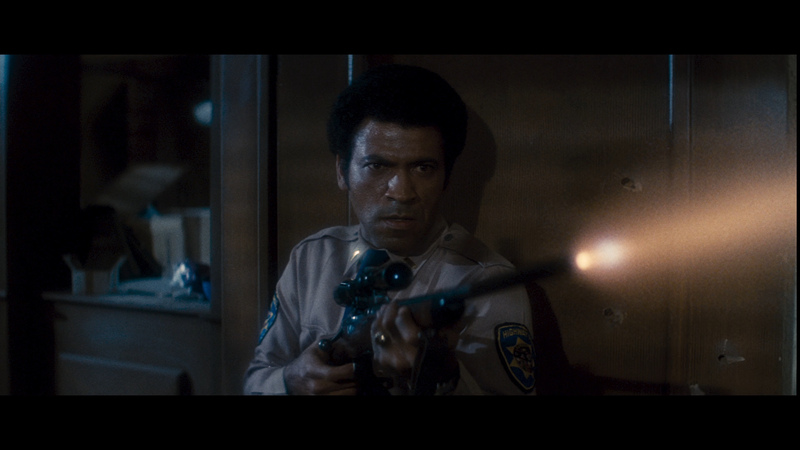 Almost hard to believe that Assault on Precinct 13 is as old as it is. Now that I have recently seen it a-fresh I can compare to the 2005 'Ethan Hawke' version. The original leads the way and Carpenter continues to impress with his older films. The newer, of course, liberally steals but is not too shabby in its own right. Carpenter is a master and rides the exploitation low-wire with tension and hidden humor. This is exceptionally brutal but has wonderful flow and pace to the story. 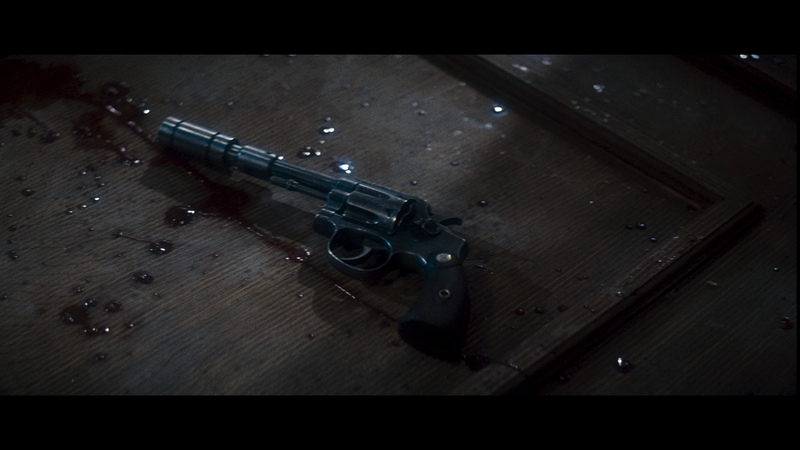 The Collector's Edition Blu-ray is pretty solid and I expect fans of the director should be quite pleased. Recommended!